How Are You Using Your Gifts? I recently had one of the best conversations with my brother, Jason Swindle. He has brought together some of Carrollton, GA’s brave warriors to raise awareness in the autism arena. I told him that I would use my gifts to help support this effort that God has led him to undertake with starting the West Georgia Autism Foundation. We also discussed his new church: Southern Hills, located just a stone’s throw from his home. 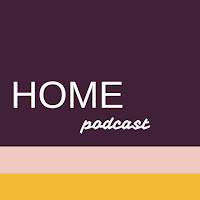 I felt like we really connected on our church environments and how our new church homes are different from the ones we grew up with: legalistic and, at times, nonexistent. We shared stories about our pastors and our church communities. It brought me such joy to see how God is working in my brother’s heart and how we could share that together. One of the most profound realizations that stopped me in my tracks was the similar goals of our churches: making disciples. This message has been penetrating my heart ever since I started reading the Bible a year ago but has been especially vibrant to me this week. With all of this in mind and a desire in my belly, I’ve asked God how He can use me and my gifts to help bring more people into this bright light. 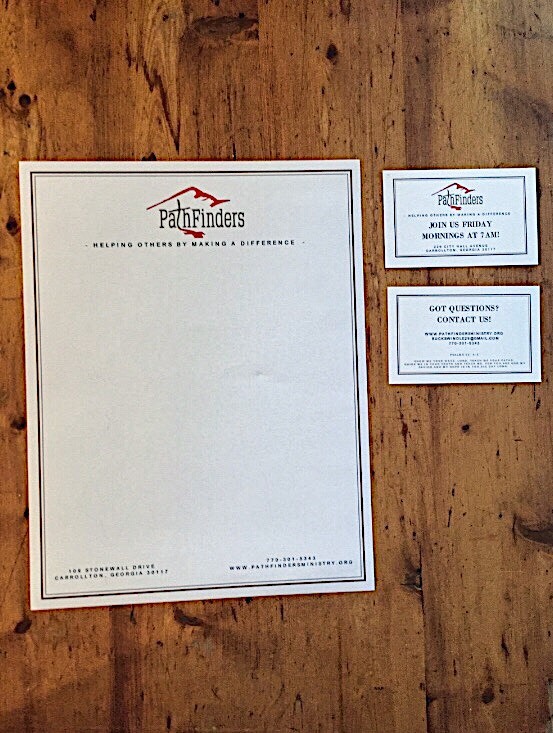 Over 12 years ago, my dad, Buck Swindle, founded a faith-based organization called Pathfinders. This is a group that meets every Friday at 7:00 a.m. to discuss prayer requests and listen to a guest speaker. My dad is very passionate about this group and sharing it with others. They desperately needed a web presence, and since I’ve recently struck out on my own as a freelance marketing consultant, I offered to create a website for them. Check it out here: www.pathfindersministry.org. Keeping the “making disciples” idea front of mind, I knew my dad needed some more tools for doing this in addition to the website. I suggested that they create business-card-size invite cards for when they are out and about in town and feel led to invite someone to a Pathfinders meeting. It was a pleasure to create and design the cards for them. 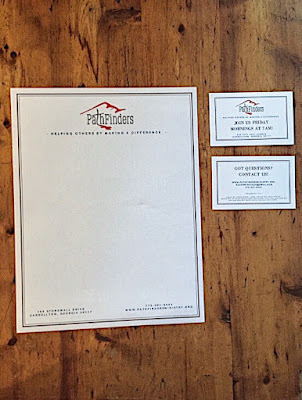 Pathfinders is a 501(c)(3) nonprofit and partners with other organizations, so naturally, letterhead was something they needed as well and I was happy to provide that for them. As I sit here and share this, I have to say how sweet it is to sit in God’s light. I simply want to share this light with others. My prayer is that the tools I created for Pathfinders will be shared with those who are lost, hurting or simply curious. I also want to encourage you to think about and ask God how you can use your own gifts to help bring more people into His light. Who’s got time for that? I’ve got two kids, a job and I’m busy….so who has time to read a book? I’ve never been a big reader anyway, but its crazy how fueled I feel to soak up my mind with research and knowledge. 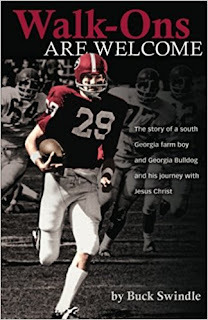 As we approach Father’s Day weekend, I believe it’s appropriate to highlight my Dad’s book: Walk-Ons Are Welcome – The story of a South Georgia farm boy and Georgia Bulldog and his journey with Jesus Christ. University of Kentucky at Sanford Stadium during his junior season in 1969. My dad, Buck Swindle, wrote this book eight years ago and I just finished it last night. As much as I was excited for him to write a book, I was not ready to read was inside. Again, who has time to read anyway, right? But the truth is I was nervous about what might be on those pages. I was afraid of what feelings might bubble up for me to hear his voice as I was reading his written words. For years, I’ve heard others in the family talk about nuggets here and there, but I finally decided that it was time for me to find out for myself. And oh, was it great timing! My Dad grew up on a farm in South Georgia. I have fond memories of his parents and the land there. 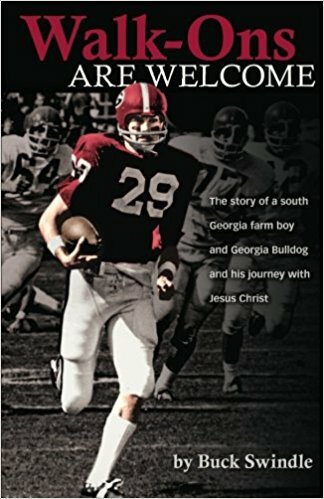 The book goes into great detail of his sports career and how he walked-on at the University of Georgia football team. 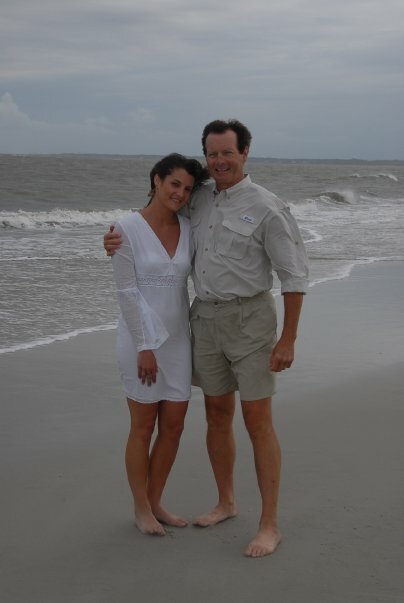 He was a part of 1968 SEC Championship team and married my mom – who I’m sure was the sweetest thing on campus! I discovered so much by reading this story and I cannot help but pull many parallels from both of our lives. * Being a college athlete, I can relate to the demands and pressures of that level of competition. * My dad worked in our family clothing business, Warren Sewell Clothing Company and had a passion for sales, merchandising and marketing. * We also have found a relationship with Christ later in our lives. More on this mind-blowing parallel later…. My dad has also struggled. He has struggled with personal relationships, sin, finances, and other real messes. Throughout the book, he is very transparent about all of this and the fact that Christ was not on the radar during the dark days. I couldn’t help but think about how much my story relates to his. During what was some of the darkest of dark days for my Dad, something happened on a mission trip to Mexico. I love how he describes this moment of a 7-year-old little girl who was living in extreme poverty. She touched my Dad and invited him to experience true salvation. It was a gift from God. From that moment, things changed for my Dad. Things began to slowly turn around for him. Reading what his life has been like after he began a relationship with Christ was a real treat to read! It was almost like I could feel the lightness and connection in his words on the page. - Attend the service of your choice. - Locate a Sunday School class of your preference and attend four weeks in succession. - Read Upper Room daily devotional or another devotional similar every morning, first thing, for 30 days. - Read one of the 31 Psalms each day for 30 days. Prayer is powerful in the process. At the end of the 30-Day Trial, you can determine your next move in the process. If you chose to continue the work in progress, God will bless you in ways you did not believe possible. If you chose not to take the next step, I am sure God will appreciate you making an effort. Again, this all really blew my mind and I love the action steps he shared for this. Thanks for this, Dad! I will be borrowing this for the future! As I have been more open about sharing my truth, I know just how emotionally and physically demanding writing can be. Sometimes after I’ve written a blog post, I feel like I need a nap. The timing of my reading his book is so crazy and so perfect. I know God lead me to read it when it was time and I just LOVE how God does that! God knew I was ready and that I needed my Dad’s truth. So on this Father’s Day weekend, I know it has made my Dad very happy to have finally read his book, but I feel as though I am the one receiving the gift. I could not imagine reading it any earlier in my life and I am so grateful to know and connect with so many things my Dad and I share – both the good and the bad. 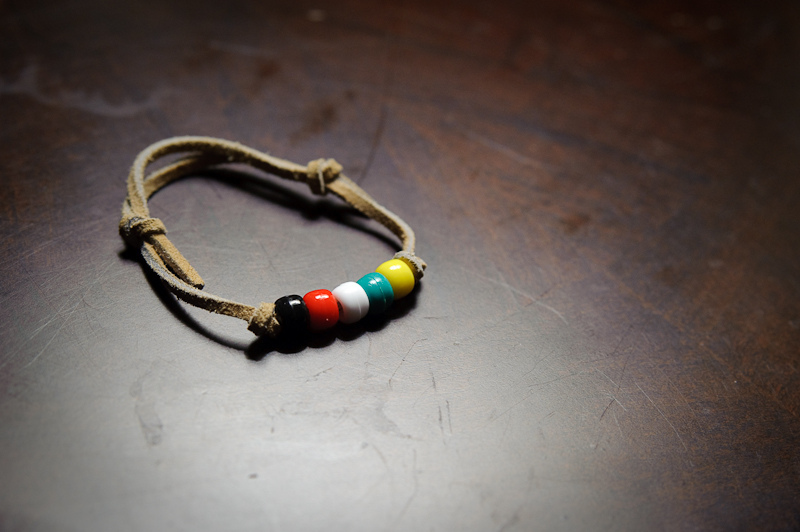 Thank you, Dad, for letting others know that you can be broken and redeemed. That you will have a better life in you let Him in. And thank you for sharing your truth. I look forward to connecting with you more as we share our love and craving for our Lord and Savior. As always, if you have any questions or thoughts, please feel free to share a comment below! The book may be found on Amazon by clicking here! I recently took a poll to see if it would help or bring value to share what has helped me in the first 100 days of an alcohol free (AF) life. From the response to that question, I was very encouraged to share this information with others who might be sober curious, know others that could use this information or to understand what someone is going through when they decide to give up alcohol. This one may not come to a surprise to many of you, but He is the reason that I am here. I have always been a believer, but not always a participant in my own faith. What does that mean? Well, it wasn’t before I started reading the Word – like actually reading the Bible – until I could really make sense of what role I was playing in this narrative. After I joined my Community Bible Study in October 2017, the words and stories started to come alive in my heart. It was so fun and so moving and the women in my core group are some that have touched my heart forever! In January, I asked God to help me. I wanted to be freed of this uncomfortable place of “grey area drinking” and He did. 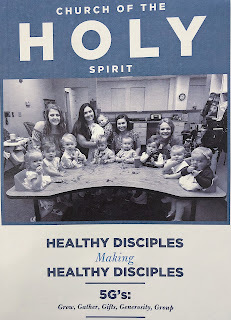 In May, our family became members of Church of the Holy Spirit. We have been praying for God to lead us to a church for our family to grow and to be challenged. I’ve connected with some of the most beautiful and richly seasoned Christian women! We cannot say enough about how this community of believers has been just that for our family and I look forward to what’s to come as we grow in our faith. I read a daily devotional by Sarah Young called Jesus Calling. My Dad gave my our copy in 2014 and is something I try to read each day before I look at my phone. I’m also in the middle of a study called Seamless by Angie and it has been AMAZING! 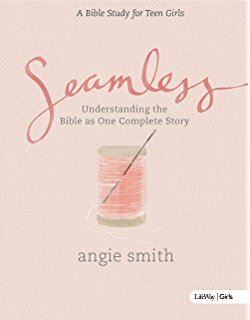 It you are looking for a birds eye view of how the people, stores and histories of the Bible come together, I’d highly recommend this study. 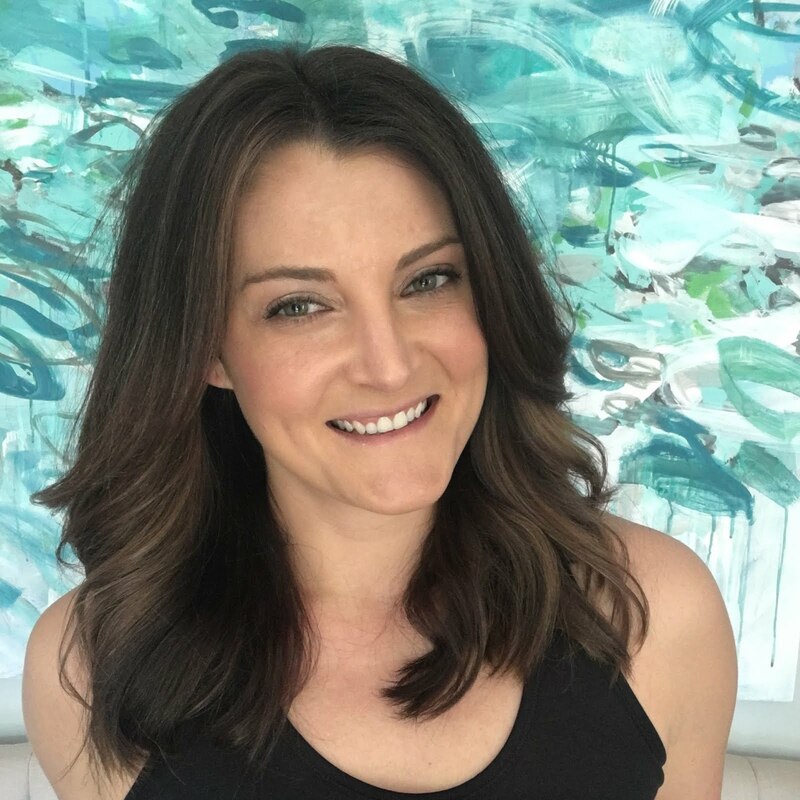 One of the first questions I get asked is “What did your husband say when you decided to give up drinking alcohol?” Well, the short answer is that it was shaky and tricky (which sometimes still can be). I mean it was a large part of our lives for so long. We met in the free-spirited college days and we had fewer responsibilities. I was nervous! What would this mean for us? We didn’t really know each other without “this” there? How could we have a non-drinker in the house while another one might still drink? We certainly don’t have this figured out nor do I think we ever will, but I can tell you that so far it has been so much better for us at large. Stephen has been nothing but super supportive and ya’ll, I certainly hit the jackpot when it comes to an amazing husband and father to our children. He has totally been my rock and we continue to pray though things together. My children have also been a huge part of my success so far. There was a time that I would have a glass of wine while cooking their dinner, then another during their bath, and then I’d rush their bed time so I could go downstairs and have another glass. Subconsciously or not, this would happen often. When you try and numb out the stressful stuff, you also miss out on the good stuff. Now that this is my new normal, I find myself so much calmer, patient and present with my children. It’s seriously light night and day! Sure there are those tough moments where I might look at my phone too much! Or when they are going nuts and I have to breathe and pray but that is all good too! The point is that I really want to be with them and make clear, lasting memories with them. When I touch on the issue of friends, so far it has been a positive one. Most of the one-on-one responses I’ve had have been nothing short of supportive. I also believe it’s important for you to know that I have a compassionate side to those who don’t quite understand my decision or how to “respond” to my decision. I never want people to feel awkward around me because I’m not drinking wine. This is new for everyone (especially me). It will take some time and that is all good! However, in the beginning I was slightly nervous because I knew I only had one friend that was publicly sober. So, of course I reached out to her immediately after making my decision. I’ve also connected with another friend that gave up alcohol shortly before I did. Both of them have been angels to me and we group text almost every day! Since I have been more public about living an alcohol free life and how I believe God has put it on my heart to share my truth, I’ve been amazed at the number of women who’ve reached out to me. These are other women just like I was - sober curious, uncomfortable with their drinking habits and looking for support. If you find yourself reading my story so far, know that there are other women in our area who are also trying to navigate through this. Especially when our culture is constantly telling us that we need alcohol to function in life. This group of women amazes me every single day and the support from them has been so huge! So support has been essential and I’m grateful to have others who I can connect with on this decision. Now that you have heard the two major areas of importance in my first 100 days of living an alcohol free life. I want to highlight a few more because without them, it would have made my first 100 days much harder. When I think of the term “essential oils” I have to be honest, I get the crunchy vibe. Like there is a lot of mixing potions or something? 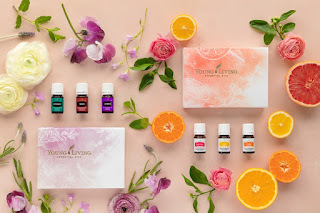 However, I became really curious about essential oils back in the winter so I decided to try a starter kit from Young Living. This company has been around a very long time and they have their own farms that they source from. Anyway, the kit literally sat there unopened until February or so! It was during that season on Lent when I decided to open it up and try defusing lavender and frankincense at night. This was a game changer y’all! I joke and say that I literally bathed in those oils for the first 30 days without alcohol! It was so nice to have the calming effect from the lavender and the grounding effect from the frankincense. I’ve had so much fun experimenting with the oils! I like to try different blends to see what I like best for special things. I still defuse at night and most evenings when the kids get home. I even got Charlotte her own defuser for her room at night because the lavender helps her sleep too! Ok, this is a really fun tool for me! This has been huge in my daily motivation and inspiration. When I was first communicating with my two original alcohol free friends, I was told to check out this interview that took place on the MegynKelly TODAY show. I was excited to see an interview on the topics of mothers and drinking. This interview cracked me wide open. This was the first time I saw and heard other stories that I could relate to. I thought these women literally crawled into my head and picked parts of my story out to use for their own. Parts of the interview stung. I had been there too! 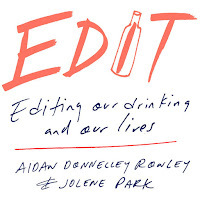 Especially with the story of Aidan Donnelley Rowley, the third mom that comes in on the second interview - she defined the term “grey area drinking” and I knew I could totally relate to this! Grey area drinking was me. So, I immediately started following her on Instagram and I discovered one of her side accounts called Drybe Club (or the Dry Tribe). This is a space for those living or curious about living the dry life! From there I was immediately connected to other supportive accounts that highlight an alcohol free/sober life like The Sober Glow, Tell Better Stories, HealthyDiscoveries to just name a few. Check them out and see for yourself! You might find something that surprises you or even speaks to you. 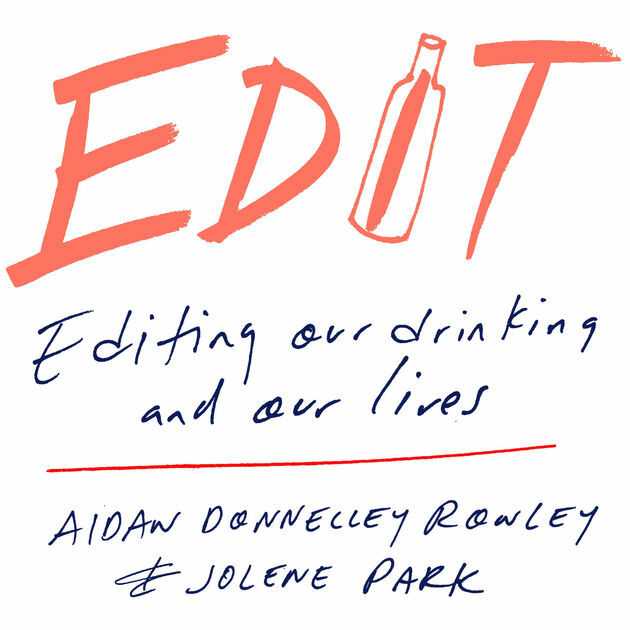 The podcast I dove straight into was Edit – co-hosted by Aidan Donnelly Rowley and Joline Park. Aidan is a writer and Joline is a functional nutritionist and wellness coach. I LOVE every minute of Edit! Both women have very similar yet different stories of how to edit drinking and things in your life! 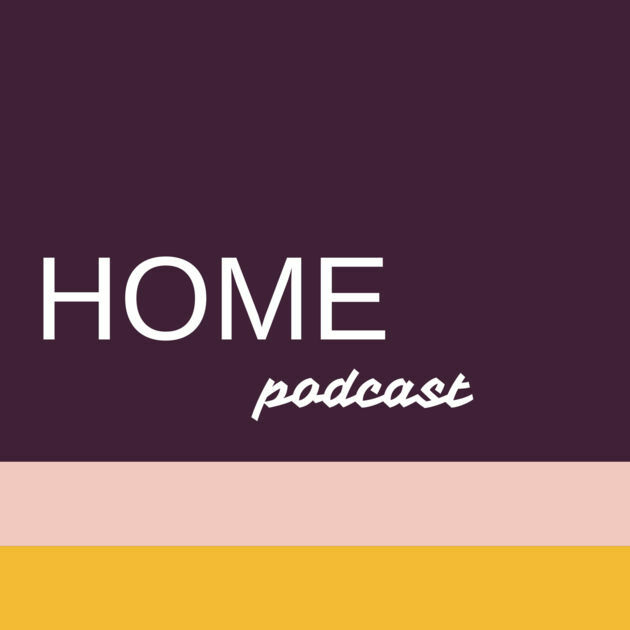 Home is another podcast that I have listened to a few episodes co-hosted with Laura McGowan (from the Meygan Kelly interview) and Holly Whitaker with Hip Sobriety. I have not finished this one, but it really dives deep into the depths of terrible addiction and their stories on how they overcame it. Worth a listen for sure! 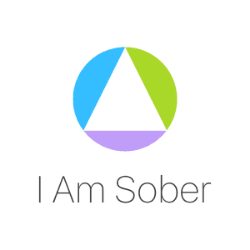 I use the I Am Sober App. It’s a neat tool that I have on my phone. It tracks the days you’ve been sober, how much money you are saving and your upcoming milestone! It will be 4 months for me soon! So, it’s really fun! I don’t always check it every day, but I find it helpful to have that app to check in on my progress! This may not come as a surprise to you that working out, moving my body, walking my dog, getting outside has been especially crucial in my life since giving up alcohol. When I was drinking, I was so much harder on myself. I was not taking days off. All so I could make room for the calories I would consume later that night with wine. Now I believe I have a much better relationship with exercise. It helps me so much with my anxiety and focus. I can actually FEEL my body in such a different way now. I really want to honor it more now. I give myself days off to do yoga, dive into my Bible study or just go to the pool/hang out with the kids. Meet my three new best friends! When I first gave alcohol up for Lent, I made sure to stock up on all the hot tea. At night is when I would always want a glass of wine and I’ve found that hot tea really helps relax me and get me settled. 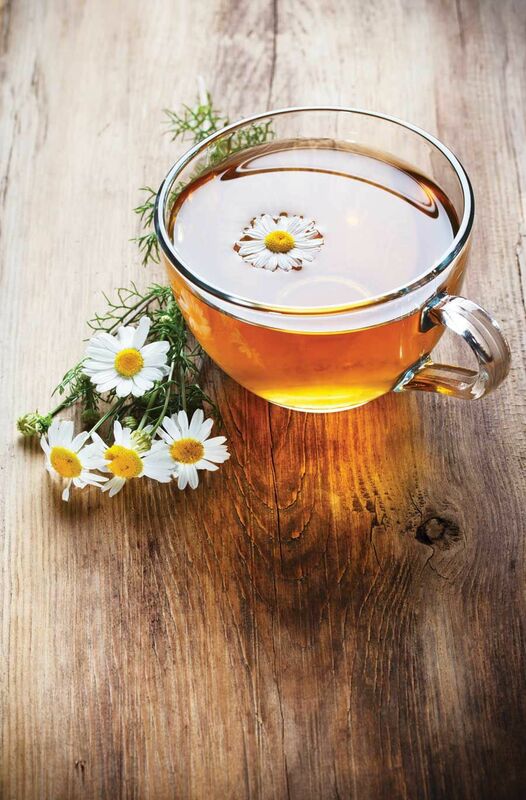 I’ve always been a fan of green tea, but I branched out into the Chamomile and love it so much! A friend of mine recently recommended Rose tea! If you have other suggestions, I’d love to hear! 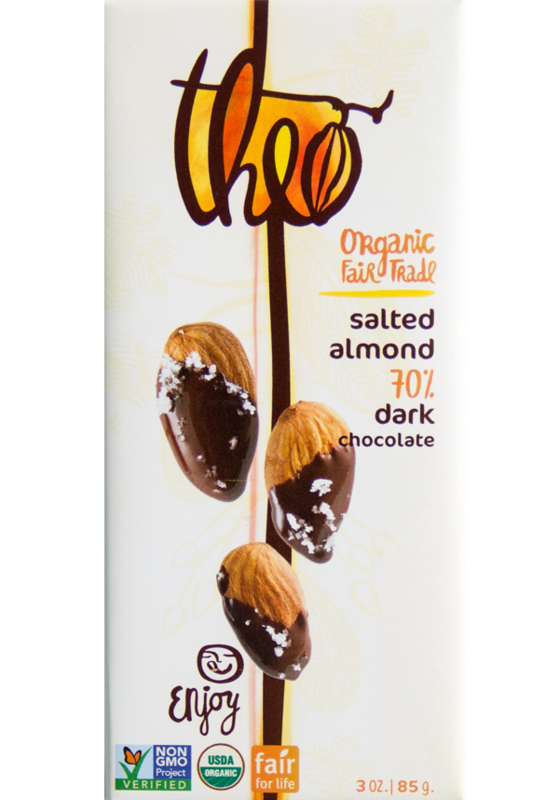 Surprisingly, I have become a fan of dark chocolate and this is something I have NEVER loved before! One thing that happened after I gave up alcohol is that the sugar cravings came in. My body was so used to having so much sugar from the wine that it was somewhat freaking out when it was not there. I’ve been told that this is totally normal. I’ve given myself grace in the sweets department for sure. I am not hard on myself if I find myself in the candy bowl a little more than I used to. For me, it’s better than the mini fridge! 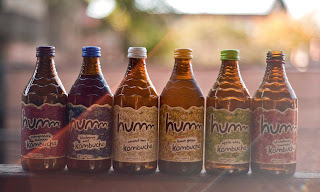 Kombucha is a variety of fermented tea that contains a large number of healthy probiotics that support gut heath, your immune system, fight infection and illnesses. “Booch” is something that I’ve been drinking for about a year now and I am SO excited its taking flight in the Roanoke area! More grocery stores are offering it and we even have Humm Kombucha that will be taking root here very soon! I have big aspirations to help advocate for kombucha to be offered in more restaurants in Roanoke. It might take trying a few different kinds to find the right flavor for you, but I find that they are delicious and good so good for you! In closing, I believe that it’s also important that you know that this has not exactly been easy for me. There have been days when I have wanted a glass of wine when I have had a hard day. There have been times where I have felt like I’ve missed out on something. There have been times when I’m out to dinner and see other women sitting across the room laughing over their cocktails. I’ve been resentful of my family because there is this “one thing” that I inherited that isn’t good for me when I have it. I’m sure I could type more about how hard this has been but when I sit here and think about it, the bottom line is that the pros really outweigh the cons when it comes to my alcohol free life. Overall, I am just a better person without it. Thank you for taking the time to read this post. It is very personal to me and I hope that it has given some of you hope and clarity. My goal with sharing this is that I want to try to be a resource for people when I didn’t think there was a resource. If you ever have any questions, feel free to leave a comment or email me at saralyn.hamilton@gmail.com. What I am about to write and put out to the universe and fills me with very mixed emotions. I’m shaking, scared, but also smiling a little too. This is probably the most vulnerable thing I have ever sat down to write, but I know God put me here and he is holding my hand. 1 Corinthians 16:13-14 - my favorite scripture in the Bible (so far). I’ve actually been trying to find reasons to hold off on writing about this, hoping to get distracted, maybe even not doing it at all. However, I have prayed about this, and I believe with all of my heart that what I am about to share is just too important not to put out there. And I want you to know you are not alone. I want to be honest and up front. I’m finally at a point where I’ve said enough already! Enough with hiding. Enough with the hinting at what might be going on in my life. I have decided to give up alcohol. 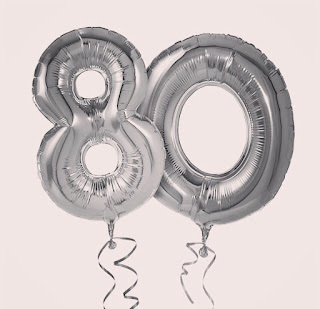 Today, marks 80 days into this new journey. I am still a little shaky. This is all still very new. I by far don’t “have it all figured out” and I don’t think I ever will. It’s something I continue to unpack every day. It’s important that you know that this decision is a very personal one. For me, there isn’t a really deep, dark story. No one got hurt or got into trouble. No one ever pulled me aside and suggested that I had “a problem”. The best way I can describe it is that I was a “gray area” drinker. In a nutshell, most everyone in my family has struggled with addiction. This has brought great pain and sadness to so many people I love. At the same time, it also has brought so much light when times have been dark. That is the beauty of what God does and His timing. Depression and anxiety are also something that has been hard to escape. As I have been digesting all of this, I realized that my anxiety probably started well into my childhood. Coming from a family of divorce and the challenges that come along with that has been hard at times. I been an athlete all my life, so I was always striving to do well and was always goal driven. As I grew into college, my anxiety kicked into high gear after the tragedy of 9/11. As many of you know, I developed post partum anxiety and depression after having our second child. As a mother, you begin to have new responsibilities with keeping a little human alive and well. Bring in a second little one into the picture, and there is even more to manage. Not to mention the pressures of what our society (and social media) say about what being a good wife, mom and employee are all supposed to look like. There can be a ton of pressure. All of my plates were spinning, and I was doing my best to keep them going. Now here is where it’s going to get real and raw. Late 2017 going into early 2018, I would find myself reaching for a glass of wine at night. Helping calm my nerves…to help make me feel less anxious. During that time, sometimes one or two glasses of wine at night would turn into a bottle of wine. I did this more often than I meant to for a while. A profound thought I believe is important to share is my relationship with exercise. Most of you know that I have a passion for health and wellness. During this time, I would often over exercise or not give myself days off so that I could make room for calories I knew I would be drinking later that night. This is something that I wasn’t exactly aware of, but in the back of my mind was there. I would think about when I could start drinking late afternoon especially, when things got really hectic with the kids. If I am being honest, I just couldn’t wait until 5pm. 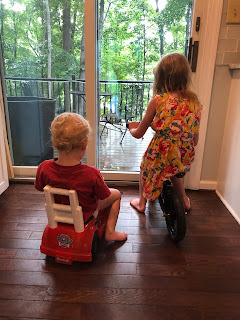 I found myself super impatient and aggrieved towards my kids. “Can’t they just hurry up and go to bed so I can get my drink on?”, “I need to/I deserve to relax!” I would be so sad and feel shameful the next morning when I didn’t feel well. I still had to get up with my babies and make their lunch. I sometimes resented this. Seriously, this was so my subconscious behavior and this is so hard to admit. When you hear your daughter ask to drink milk out of a “pretty glass like Mommy”…that struck me to the core. That was testimony to what she was observing. They watch EVERYTHING we do y’all! Everything! One night I lost my cool at them both in the bathroom for not cooperating in taking a bath. They are babies and little and I would for sure say I was quite buzzed. The more this went on, I felt its scales wrapping around me tighter. Starting to potentially own me. It could not go on. That was the night that everything changed for me. I remember going into my bathroom and looking in my mirror. As I stood there crying, I asked God to help me and to take “this” kind of pain away from me. On Monday, February 12, I decided I would not drink before Ash Wednesday. I seriously could not WAIT for the 40 days of Lent to start. I wanted to feel better, get out from under it and I didn’t want anything to own me. I wanted to be closer to Him. Over the course of the 40+ days, it was very eye-opening in what God showed me. He showed me how to be a better disciple for Him, to be a better wife, mother, friend and employee. I believe Stephen and I are both more patient with each other, we love on each other more, are growing in our faith together. i have to mention what an intimate thing it is to pray with your husband. I try and soak up every single minute with the children. I truly believe that they deserve the best of me and I want to do my best to give it to them. They make me want to be a better person. I have a much better relationship with exercise and I have started exploring more self care. I took the first bath in our house a few weeks ago and that was amazing. We have lived here for over two years if that tells you anything. In the past, I would never take 20 minutes to slow down and do something like that for myself. In the past, it was all about how fast could I get downstairs and pour a glass. Seriously. Overall, I am much more productive at home, work and in life. As a side note, I have a dear friend that has recently gave up alcohol and we text most every day. She knows all of what I’ve shared with you and she’s such a blessing. Especially those early days into this when I want to have a glass of wine. It felt like God knew I would need someone to help me get through this and he provided that support for me. She is/was that angel on Earth for me. As I look back on where I was some 6 months ago, I know that I was sober curious, but I did feel alone. Like there was no other way to do this life without alcohol. I was managing my anxiety with alcohol thinking it was somehow helping me. But in turn, it ended up giving me more anxiety and it became this sad cycle. Coming from a family of addiction, it was almost arrogant of me to think that it would somehow “skip over me” like I didn’t have the same DNA as everyone else. So if you are reading this, it’s important for you to know that you are not alone. This is a real thing. I was that person and I still love that person so much. Trying to figure out how to do this world without alcohol is tricky and it's something I'm still working with and unpacking on a daily basis. I believe I am a better person without it and I’m so grateful have made a choice while the choice was still a possibility for me. 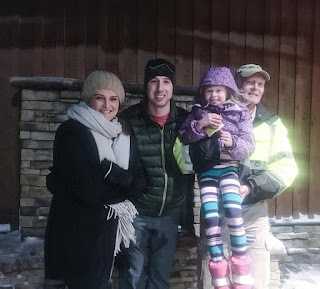 As I look outside, there are still tiny signs of snow on the ground, so I found it fitting to share a little about our latest trip to Snowshoe, WVa. 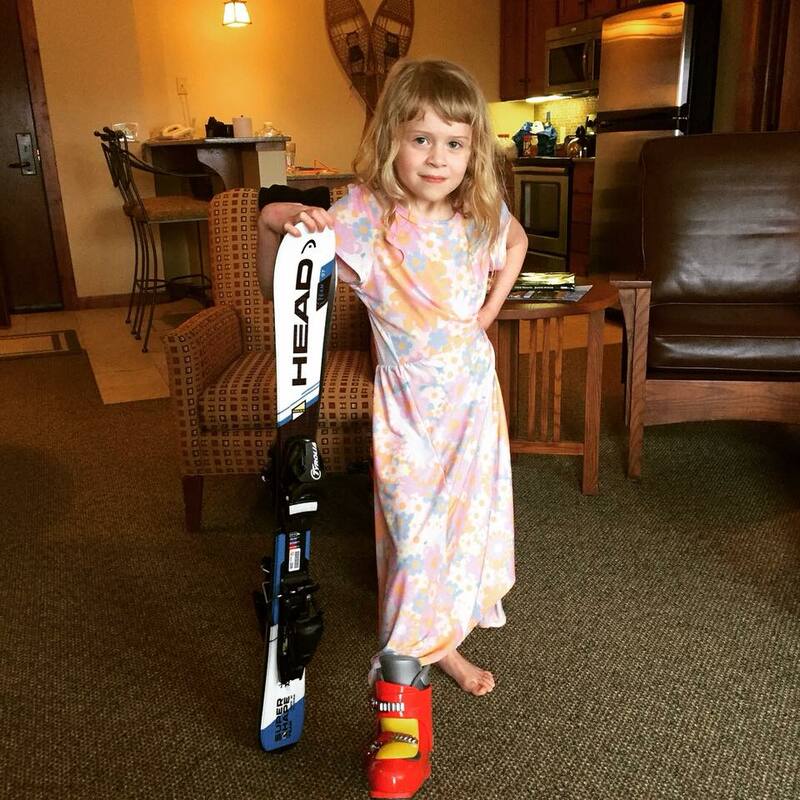 For many of you reading this, your family may be regulars on the slopes. However, you might be interested in new idea on a place to consider when booking your next trip. Snowshoe, WVa is just over three hours from Roanoke, VA. In the car, that equals to about two “shows” according to our 5 year old daughter Charlotte. As a little girl our family grew up skiing with my parents out west, and ski school was just part of what you did. This is where you learned “Pizza” for stopping and “French Fries” for going. To this day, I can remember the mini white chocolate candy bars given to us as we would go up the ski lift. 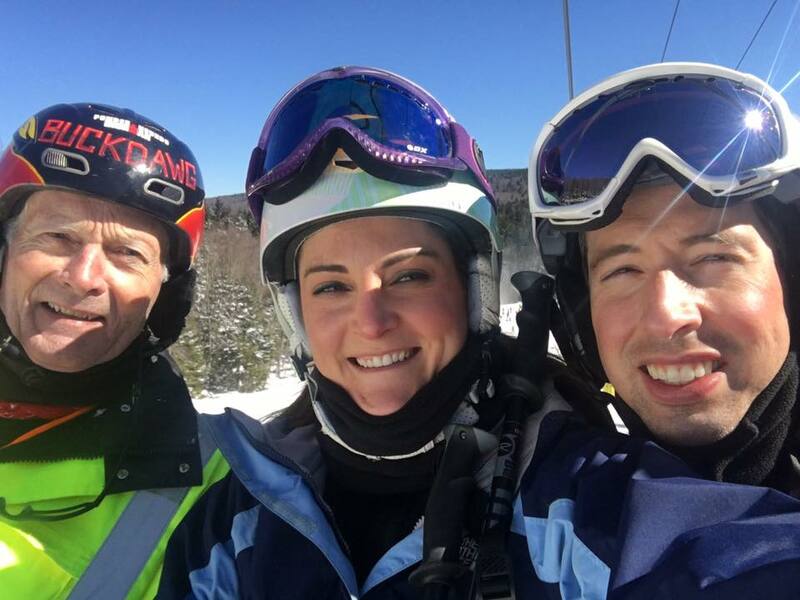 I also remember the time I failed to get off the ski lift with my Dad. I think I had to ride back down the entire thing alone…not awesome. My little sister, Kristin and me at Snowmass in Aspen, CO on a family trip. When we decided to plan our trip this year, we knew my Dad (who will be turning 70 this year) had to be a part of the planning. For the last 10 years or so, he and his buddies would go out to Big Sky, Montana for a week’s trip. 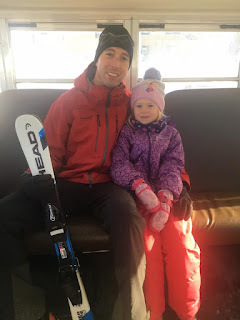 Dad could not wait to go with us and ski with his 5 year old granddaughter, Charlotte. As a Mom, one of the biggest challenges when planning a trip like this was finding the “right” place to stay. 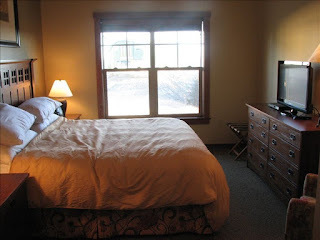 Before Stephen and I had kids, most places we stayed weren’t exactly the nicest, and often times there will be a lingering smell of mildew and sweat from the snow sport. Again, this was well before kids, and we really didn’t care! This 2 bedroom - 2 bathroom condo is located at The Top of The World at Snowshoe…which is well…at the very top of the Snowshoe Mountain. 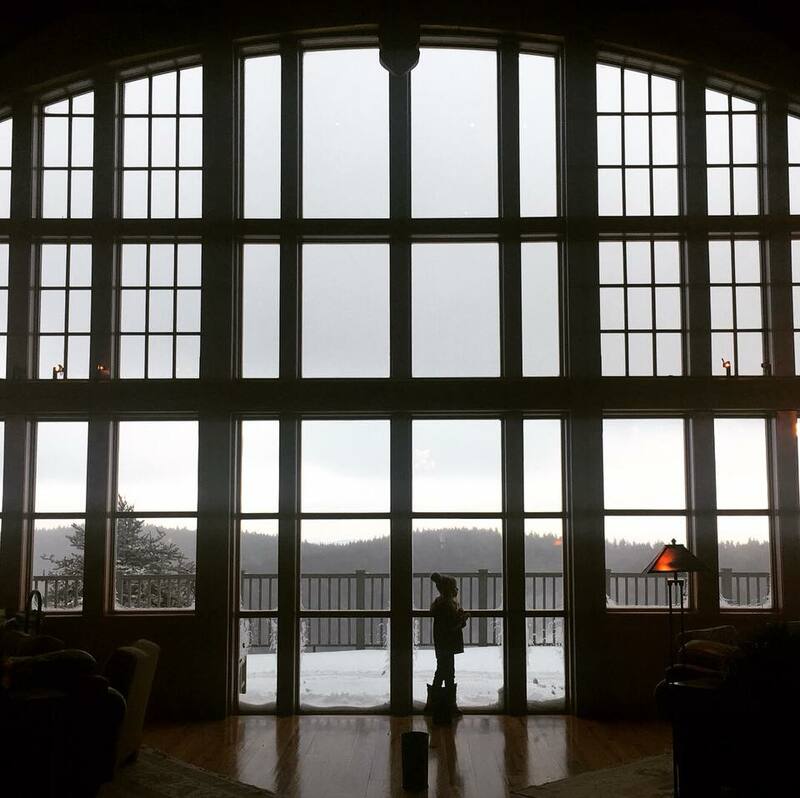 When researching, we realized that the condo was conveniently located on the first floor of the building, and it came with all the amenities you would like to have in a weekend getaway space without even having to think about skiing. Especially when taking children, you have to consider that you might end up spending more time inside that you might think. Of course, these are things we Mom’s think about. Being on the first floor, it was so nice to be close to things like the heated covered parking garage, locker room for gear storage, rental and retail shops, trash disposal area, the on-site restaurant, three outdoor hot tubs, a gym, sauna, treatment room for massages and the Soaring Eagle Hearth Room and Bar. Y’all, the Soaring Eagle Hearth Room and Bar was BEAUTIFUL! All you needed was a good book, a blanket and a hot cup of tea to chill in this space. I immediately imagined how beautiful a small, intimate wedding there would be. 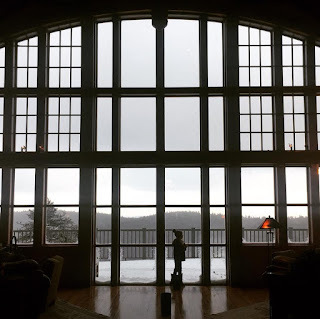 Charlotte checking out the view inside the Soaring Eagle Hearth Room. Other things that I found especially impressive about the Soaring Ridge 102 condo were the spacious kitchen and dining area. There was plenty of room for all of us to sprawl out. 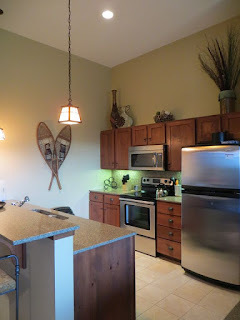 I loved how the kitchen was open, updated and there wasn’t anything they didn’t already have there! IT WAS CLEAN and overall just incredibly well kept. 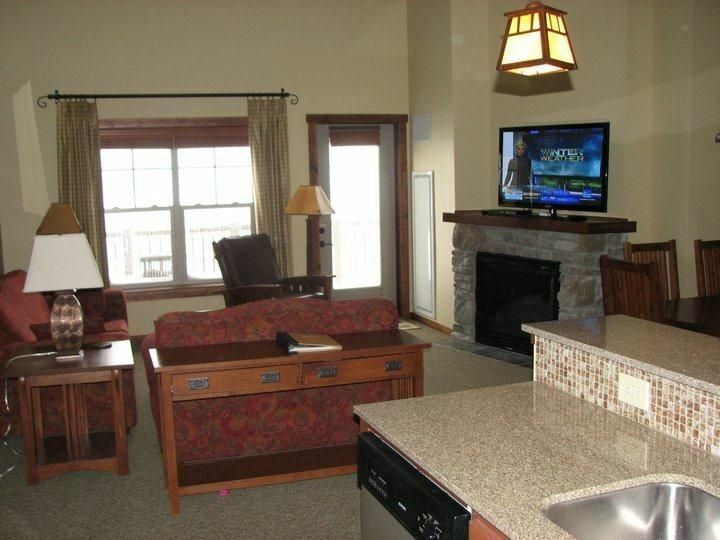 The spacious living/dining area with the fireplace and large TV. It was also magical to have the gas log fireplace to use when we wanted! Oh and of course a washer and dryer is ALWAYS a crucial tool. Can I get an AMEN!? 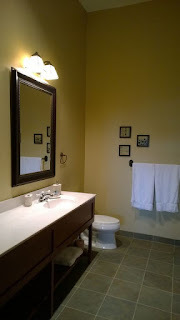 The bedrooms each had separate bathrooms and are located on the opposite sides of the condo. Another thing awesome thing to point out was that the rooms had blackout shades…so important for when nap time rolls around. Then another thing we never had to worry about noise in this building! Mater Bathroom that included a shower and large tub. Yall…the view was breathtaking. 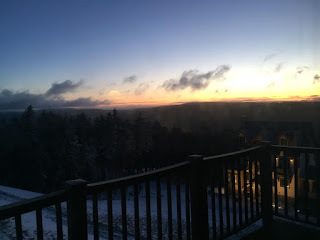 It was the most incredible view I have ever seen in all of my visits to Snowshoe. 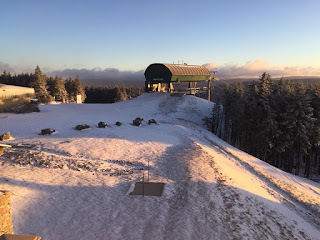 The back balcony sits directly in front of the Soaring Eagle ski lift, and it was so cool to see everyone coming down the lift throughout the weekend! Soaring Ridge ski lift just off the balcony. It was so beautiful to see the sun come up and go down each day. I loved catching up with my Dad who I haven’t seen in months. Watching our daughter in ski school - doing her thing is a moment that makes me smile. Enjoying the beautiful surroundings that our God has given to us was such a gift. Personally, I think bouncing around to the different outdoor hot tubs with the family WHILE it was snowing might have been my favorite moments in the entire weekend. 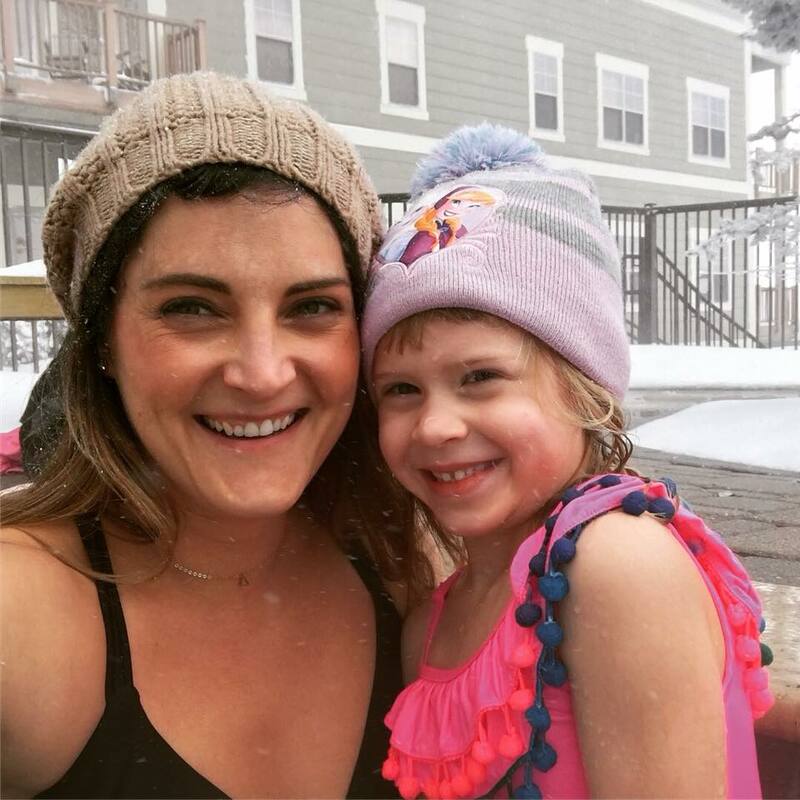 Charlotte and I enjoying the hot tub while it was snowing! Charlotte ready to get after it! BuckDawg (Dad), me and Stephen on the ski lift. 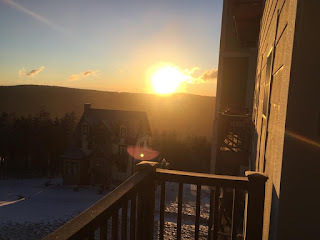 Kids or no kids ...skiing or not, I believe most of us can appreciate these qualities of this beautiful condo when considering a weekend get-away. 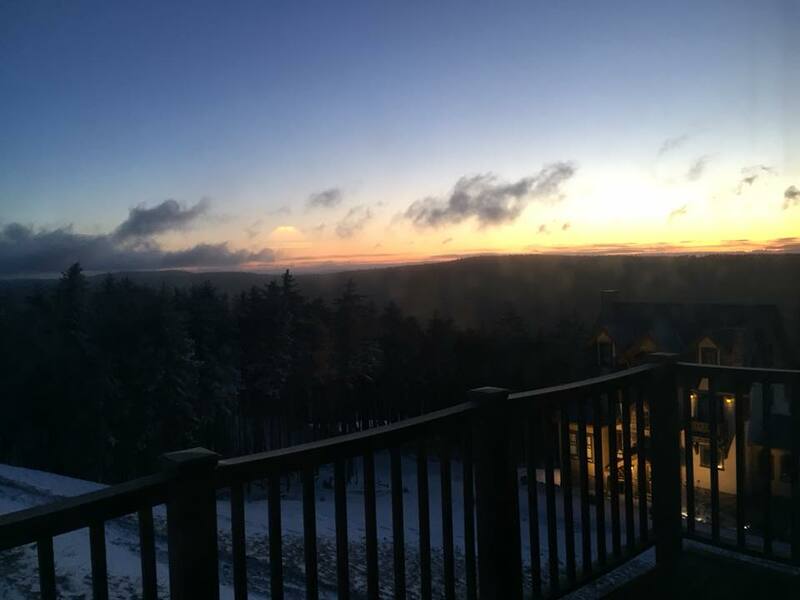 The owners were lovely to work with and would love for you to check out this property during your next visit to Snowshoe. 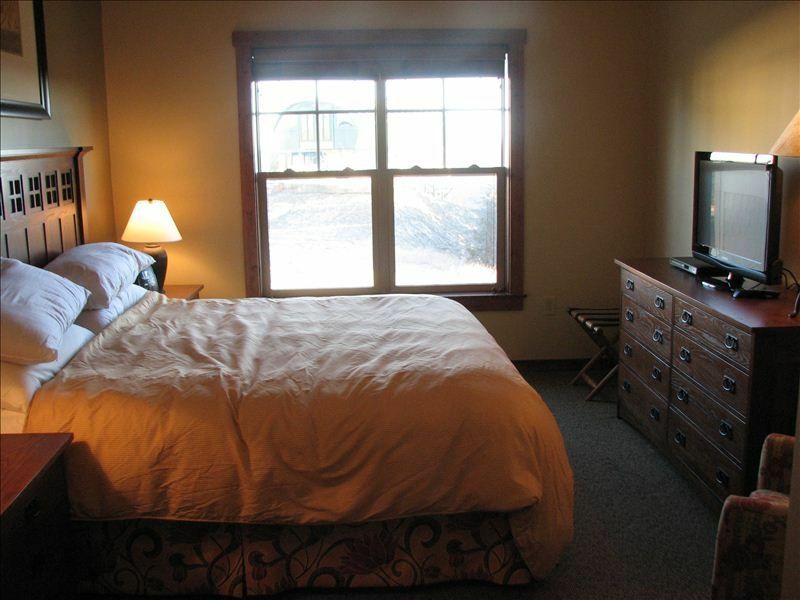 If booked, mention that you read this review and you'll receive 10% OFF your stay! Believer, Wife, Mom of 2, Passion for Health & Wellness and Lover of All Things Beautiful!